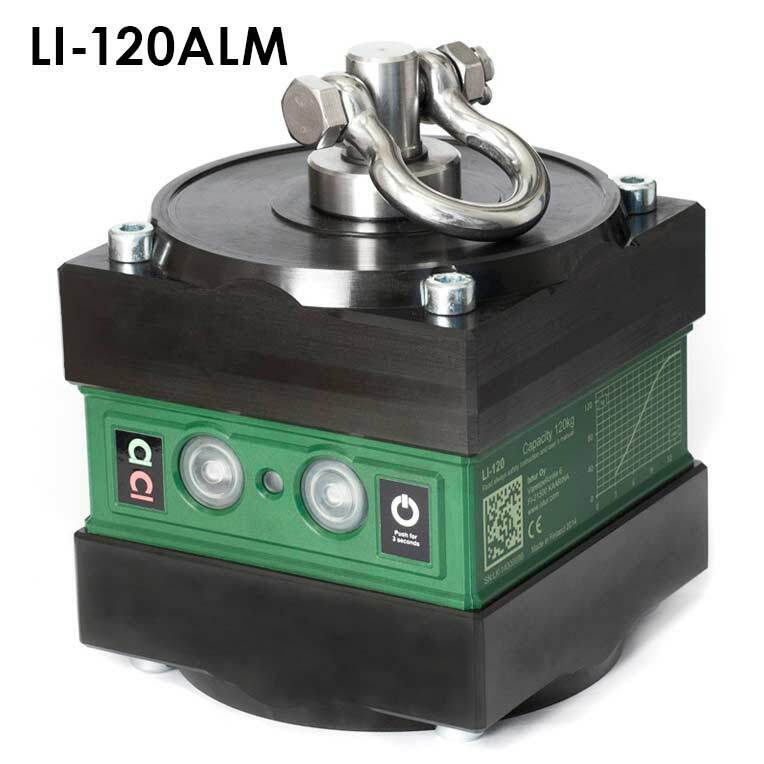 Innovative, compact and user-friendly, this magnetic lifting equipment features a strong permanent magnet that is switched between the "on" and "off" states with an electrical pulse. The real beauty of this magnet is that it is fully automatic - no user interface is required to turn the magnet on or off. The secret lies in the built-in load-sensing system. This unique feature utilizes a self-adjusting shaft that turns the magnet on or off every time it completes a cycle. When the magnet is set down on a load, the shaft goes down, which engages the magnet. The magnet stays "on" until the load is set back down, whereby the shaft goes down and turns the magnet "off". The operator also has the option to manually control the magnet by pressing the push buttons located on the side of the unit. This permanent lift magnet uses an electronic impulse ONLY to change the magnet from on to off and vice-versa. No electrical power is used during the lifting process. The result of this technology is safe and reliable lifting and long & efficient operation without interruption - over one thousand lifts with one complete, 2 hour battery charge!